Ambleside is an attractive small town of about 2500 people situated in the centre of the Lake District National Park, about 1 mile from the head of Lake Windermere. It is at the hub of the area's road system and all parts of the National Park are within 1 hour's drive. Many fine mountain and valley walks, both easy and strenuous, start from the town. 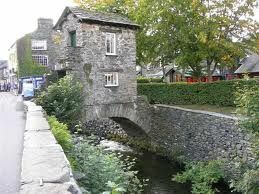 Ambleside's tourist facilities are highly developed. It has a vast choice of restaurants, cafés and pubs. It offers high quality shopping, particularly for art, gifts and outdoor wear. There is a first class cinema. In the summer and autumn, there are traditional events, sports, theatrical and live music productions. At Waterhead, 10 minutes drive from Holmeshead, you can enjoy all the facilities of Lake Windermere - boat hire, boat launching, lake cruising, fishing, nature watching. Hawkshead is a traffic free old village where you can peacefully browse the interesting shops and sample local fare in various good cafés. There are stone flagged alleys to explore and a fine village church. 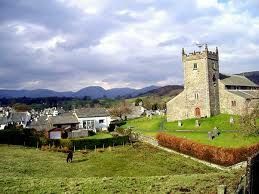 The village has an interesting history and strong associations with Wordsworth, who went to school here, and Beatrix Potter whose farm at Hilltop is just down the road at Sawrey.